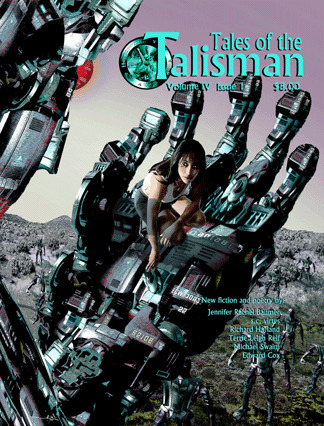 Well, one publication you can definitely find me in is TALES OF THE TALISMAN with: “The Invisible Enemy.” This would be my second appearance with the magazine. 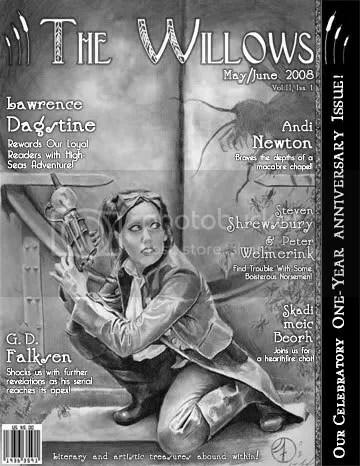 The Summer 2008 issue, Volume 4-1. 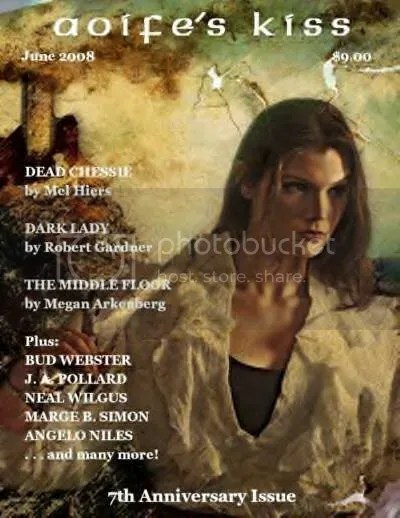 The cover art was done by Laura Givens (I love her work: http://www.lauragivens-artist.com). 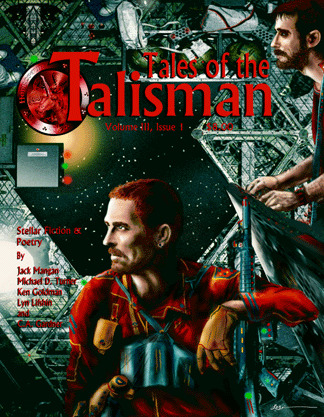 Talisman is edited by David Lee Summers. First, I’d like to thank my readers and author friends who have emailed recently to see how I am doing in the health department. I’ve received an overwhelming amount of letters (a couple of hundred, so it may take time to get back to everybody) — and I thank you. You don’t know how much I really appreciate the support. The people from the messageboards, everyone from the magazine and independent publishing circuits. Family, friends, and fans… You guys are what makes the Small Press and Science Fiction, Fantasy and Horror such a great place. 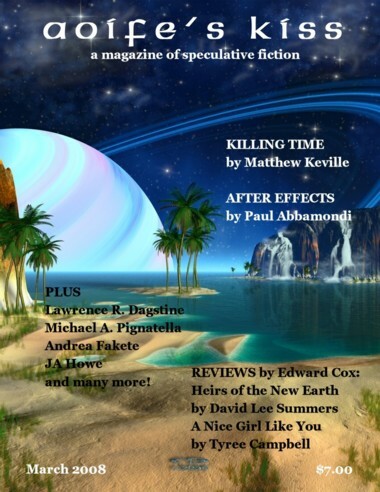 Second, for those interested, I have a science fiction reprint in the 7th Anniversary Issue of AOIFE’S KISS. June 2008, No. #25. Published by Sam’s Dot Publishing (www.samsdotpublishing.com), who’ll also be releasing a collection of mine down the road. Featuring fantastic work by: Mel Hiers, Robert Gardner, James McGowan, Bud Webster, Zia Ahmed, J.A. 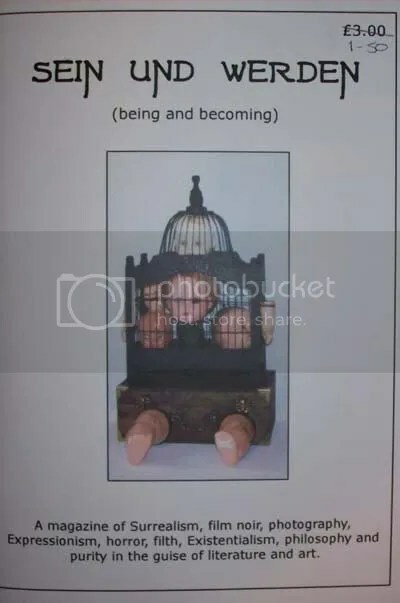 Pollard, Megan Arkenberg, Angelo Niles, Lawrence R. Dagstine, Christina Amsden, Robert L. Slater, Ryan Bruner, Phillip A. Ellis, David Howerton, Gary Every, Cathy Buburuz, Ami Kaye, Mac Warren Brown, Neal Wilgus, Marge Simon, Rachel Olivier, David C. Kopaska-Merkel, Pearl Mary Wilshaw, Tracy Meleca, James B. Livingston, and Sheffield Reynolds. 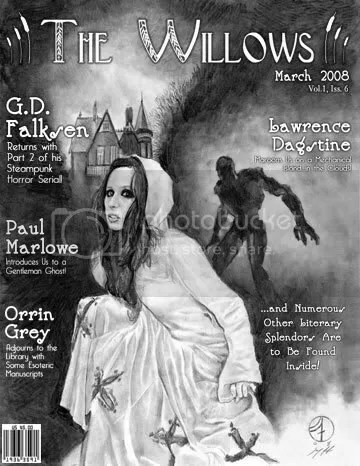 Cover Art by Dan Skinner. At this time, I’m doing all right. Just on what you’d call a “Health Holiday”. Keeping strong.